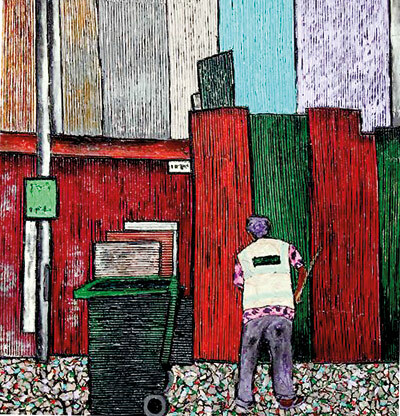 Chathurika Jayani’s new exhibition now on at the Paradise Road Galleries presents landscapes very familiar to Colombo folk but not ones that other artists usually pick as their subject. 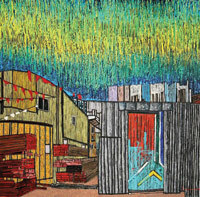 Her exhibition titled ‘Escapes’ focuses on scenes from the slums which she brings alive on cardboard and corrugated board creating three dimensional imagery on two dimensional board and canvas. “I use non-traditional materials such as wood, corrugated board, cardboard, tissues and handmade paper with colours to build the surface,” she explains, adding that sometimes she even uses a gas torch burner on the surface to achieve the effect she wants. 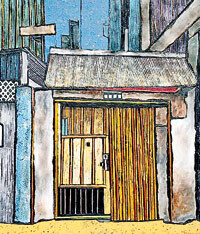 Born in 1984 in Colombo, Chathurika’s current series of paintings is the continuation of her previous exhibition Slums. She has attempted in her own way to capture, what she calls “bolts of freedom” in the lives of people who live very simple lives. The paintings are striking drawing the viewer in to explore dimensions little thought of. 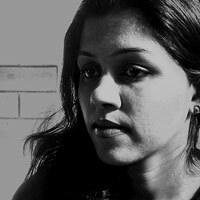 Chathurika’s exhibition is now on at Paradise Road Galleries, 2 Alfred House Road Colombo daily from 10 a.m. to midnight until March 9.